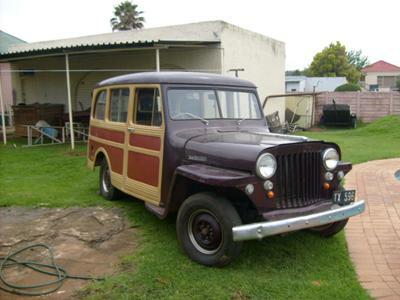 I am busy restoring my grandfarthers 1947 Willys/Jeep Stationwagon. I waited since 1988 to get hold of the Jeep. 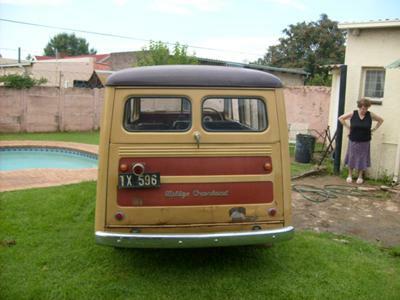 When my uncle passed away in 2010 I managed to buy it out the estate for R25 000=00 ($3550). My dad told me how all 5 kids with grandpa and grandma used to travel 100's of miles with the Jeep. 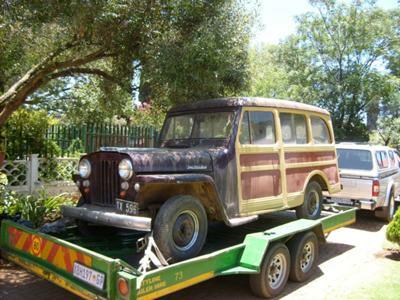 As a child we used to sell veggies with the Jeep in the town of Potch here in South Africa. My heart is in this vehicle and surely I will not get rid of it. Larry's Comment: Wow, Louis...your grandfather's Willy Wagon is a beauty! Keep us up-to-date with your restoration. HI Louis,this is Atholl from Ladysmith. Would like to know how far you are with your restoration.Do you know where I could get the window rubbers from? I'm in Texas and am buying the same wagon. Keep me posted with updates.